Many of us have a smart phone or hope to get one as a gift (hint). Here are some legal research and reference applications that might interest you. Smartphones have different operating systems, so an application that works on an iPhone will not work on a BlackBerry, Android phone, Palm Pre and Windows mobile device. Since Apple’s iPhone and its App Store opened the doors to mobile legal research applications, this article only features iPhone applications. If you are aware of any legal research mobile apps for BlackBerry, Android phone, Palm Pre and Windows mobile please leave a comment with the information. 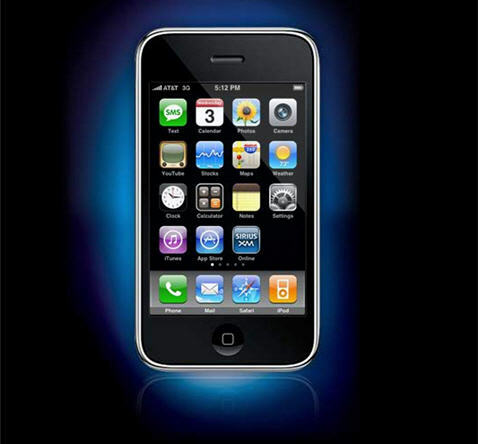 Also let us know about other iPhone legal research apps not listed in this article. Finally, we would like to know your user experience with these list apps or any other legal research apps — Thanks. West, part of Thomson Reuters, offeres through the iPhone App Store the eighth—and most recent—edition of Black’s Law Dictionary ($49.99). A free iPhone alternative is Nolo’s Plain English Law Dictionary. The iPhone offers a free app of the text of the U.S. Constitution. WaffleTurtle Software also offers a $.99 version that allows you to search the text. Lexis users may be interested in the Get Cases and Shepardize® application for iPhone. Just by entering a citation, users can review this case issues, rules, and reasoning as written by LexisNexis editors. The Shepard’s Signal™ indicators and Shepard’s Summaryis also available. Users must have a a current LexisNexis subscription and valid ID/password to utilize this app. Another case law app is Fastcase for the iPhone. This free iPhone application provides state and federal case law from all 50 states as well as a comprehensive library of statutes. You can search by citation, keyword (in Boolean or natural language), or browse our statute collections. Shawn J. Bayern, Assistant Professor at Florida State University, College of Law has created a free iPhone app for the United States Code. This application allows users to search, browse, or use legal citations to find the sections you’re looking for. Users can keep bookmarks, scroll through each chapter of the code as if it’s a book, and email code sections to yourself or others. WaffleTurtle Software offers a variety of searchable legal iPhone apps of the including Federal Rules of Civil Procedure ($2.99); Federal Rules of Bankruptcy Procedure ($2.99); Federal Rules of Appellate Procedure ($2.99); Federal Rules of Criminal Procedure ($2.99); Federal Rules of Evidence ($2.99); and local patent rules from seven federal district courts whose dockets attract great numbers of intellectual property cases. Tekk Innovations LLC sales several New York legal resources iPhone apps: Laws of New York ($24.99); New York Code of Criminal Procedure (NY Law) ($5.99); New York Penal Code (NY Law) ($5.99); and New York Vehicle and Traffic Code (NY Law) ($5.99). This month marks the official launch of WestlawNext. Brooklyn Law School law librarians test drove this new platform on February 17th. Westlaw programmers studied legal researchers and analyzed the researchers’ interface with Westlaw. Academic law librarians provided feedback as part of the development process. Westlaw also conducted in-depth analysis of users’ real research logs, recreating the searches and looking for opportunities to improve the search, retrieval and ranking. Westlaw also convened focus groups, design reviews, and performance testing. WestlawNext provides a legal research experience that mimics the ease of use customers have come to expect from Google, says Jill Schachner Chanen of ABA Journal. McKenzie blogs at Out of the Jungle and is the Law Library Director at Suffolk University does a great job of looking under the hood and explaining the features of this new platform. This is not “googlization” of legal research. There is some similarity because they are looking at customer linking. But they are building an enormous “back end” to this research system that looks simple at the front. The system does in the background all the things law librarians have wanted good researchers to do: do background reading, get extra terms, carefully choose database or even combine them, So it is also not dumbing down legal research. It is, rather, doing it for you, automatically. However, it still gives you the choice, and the tools to do the Boolean search, to use the field searching, and to do all the powersearching things that long-time skilled searchers have learned to do. 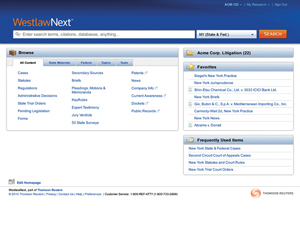 Westlaw plans to launch WestlawNext to law students in Fall 2010 semester, this is according to Anne Ellis, Senior Director, Librarian Relations Thomson Reuters as noted in Law Librarian Blog. 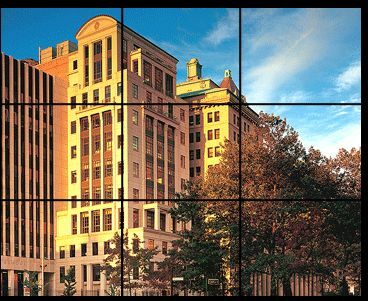 Brooklyn Law School Library will be demonstrating WestlawNext to faculty in March 2010, watch for details. Check out this new search engine called Xyggy Legal. It went live on November 16, 2009. Xyggy offers more than just general legal searches, so you can reach Xyggy Patent, which covers United States patents from 1976 to present. Xyggy Articles searches through archived news articles of the New York Times from 1987 – 2007. Thanks to Cleveland Marshall Law Library Blog and Out of the Jungle Blog for the heads up on this resource. Enter a case by citation or party name into Xyggy Legal and get a list of similar cases in ranked order. If you enter more than one case, the search engine will determine what those cases have in common and return even more precise results. It does not necessarily pull up cases that have cited the case you type in, but searches the text and metadata to attempt to find similar cases. The idea is somewhat similar to More Like This Headnote in Lexis or natural language search in Lexis or Westlaw by cutting and pasting a block of text from a case. Xyggy Legal’s results seem to improve when several cases citations are entered. When entering more than one citation, users must enter citation without punctuation, i.e. US instead of U.S. also F2d works, but F.2d does not. Also enter each citation then wait for the auto complete feature to identify the citation. Click the auto complete result to add it to search box, then add next citation. Also note that you need to type in the citation or case name, cut and paste do not seem to work. •	Supreme Court decisions in US. Reports volumes 1 – 544 (Oct. Term 2004). •	Federal Circuit Courts of Appeal in F.2d, volumes 178 – 999 (January, 1950 to July – August, 1993) and F.3d vol. 1 – 491 (September, 1993 to June – July, 2007). Please note that case coverage is incomplete for recent years and Xyggy is working on completing their case collection. Xyggy Legal is still in beta, and hopes to improve coverage of recent cases. Ryan, from At You Say Too Blog flushes out Xyggy searching process. He notes that Xyggy not only searches the text but also the metadata. They have carefully selected a few databases, open source databases from the government. They have also purchased a dataset from the New York Times. All of these datasets already have metadata added. In addition, Xyggy searches the full text of the case opinion. This is a very interesting development. Ryan notes that it is similar to Google Scholar Legal Opinions and Journals. Law librarians at Cleveland Marshall took a more measured approach to Zyggy. Users will not get good results until more than one case is added to the search box. They used for their test searches Furman v. Georgia, 408 US 238 (1972) (Death penalty sentences in three criminal cases constituted cruel and unusual punishment because it was imposed in an arbitrary manner. Allegations of racism were raised but not proven). Xyggy provided 19 pages of result, with approximately 10 citations per page. Cleveland Marshall only considered the first five results (see below). 1. United States v. Moore, 486 F.2d 1139 (D.C. Cir. 1973) concerns whether the Eighth Amendment prohibited sentencing a drug addict for possession. 2. Smith v. Turner, 48 US 238 (1849), dealt with constitutionality of a tax statute and has nothing to do with the death penalty or Eighth Amendment. 3. Compassion for Dying v. Doe, 79 F.3d 790 (1996), a right to die case. 4. McGautha v. California, 402 U.S. 183 (1971) a capital punishment case. 5. United States v. Banks, 540 U. S. 31 (2003) a search and seizure case. In Cleveland Marshall’s test, they entered three citation: Furman v. Georgia, 408 US 238 (1972); McCleskey v. Kemp, 481 U.S. 279 (1987) and Maxwell v. Bishop, 398 U.S. 262 (1970). Cleveland Marshall only considered the first five results. The first result was the Moore case again, the second hit had to do with race and the death penalty, the third hit did not have to do with the death penalty, the fourth hit was McCleskey, and the fifth hit was a death penalty case that said that race was not raised as an issue. If others have tried this service, please comment on your results. On Friday, November 13th, Brooklyn Law School Library learned from several users that the proxy server which provides you with access to many of our subscription services (such as Hein, BNA, JSTOR) was not working properly with the new BLS web site. A website response team quickly moved into action. Phil Allred, BLS’ Chief Information Officer, has created a work around until the web site developers can address this issue. Maria Okonska, BLS Library’s Manager of Bibliographic Operations, developed easy-to-follow instructions to assist you in enabling the proxy server. 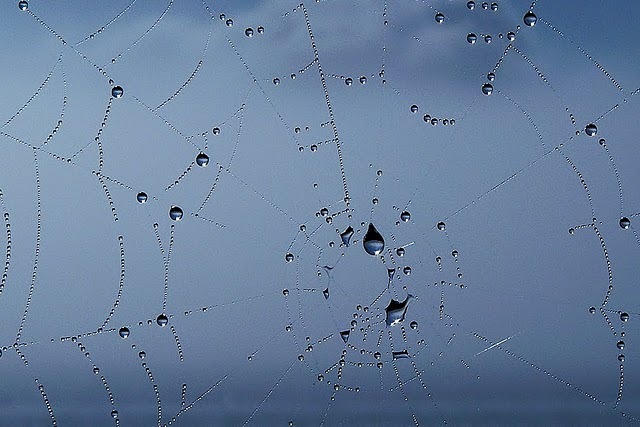 To enable the proxy server, you need to make some adjustments to your web browser. BLS Library has posted detailed instruction for accessing the proxy server and they are located on our web site here. BLS Library apologizes for your inconvenience. Westlaw has rolled out its OnePass password security change since November 1st. It is a new sign on process where Westlaw users are to create their unique usernames and passwords. OnePass security changes must be implemented by January 31. 2010. It affects all passwords used to login to Westlaw, TWEN, and lawschool.westlaw.com.